March 20 — Electric violin and er-hu virtuoso Meg Okura joins the Asia America Symphony Association (AASA) and conductor for an evening of jazz harmony and traditional music at 8 p.m. at the Harlyne J. Norris Pavilion, Rolling Hills Estates, California. 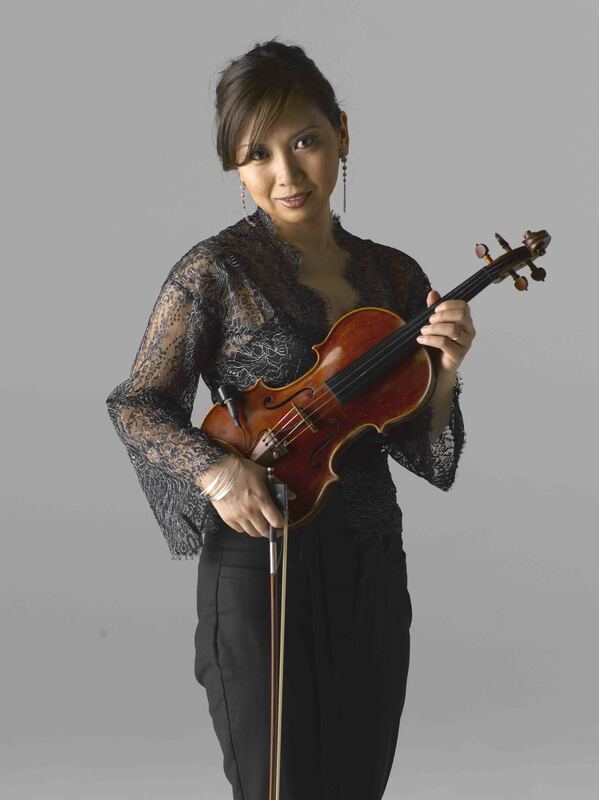 A native of Japan, Okura has toured throughout Asia as concertmaster and soloist of the Asian Youth Orchestra while attending the Toho School in Tokyo. She leads the Pan Asian Chamber Jazz Ensemble, inventing and defining “world chamber jazz” today. Hailed by New York Times as “vibrant” and “sophisticated,” the ensemble is not just pretty faces, but rather “… mixes a classically trained mastery of strings, piano and drums with quick-witted compositional twist performed with high energy” (Down Beat Magazine). Ticket Prices: $50 Preferred, $35 General Seating; Harlyne J. Norris Pavilion, 501 Indian Peak Road, Rolling Hills Estates, CA 90274. Tickets can be purchased online: www.AsiaAmericaSymphony.org.